Mike Elrod has always loved working in his family’s businesses. In the mid-90’s, Mike and his two brothers decided to develop and construct the buildings that housed their companies. From that experience, a love of construction began. The brothers developed many office buildings, office condos and shopping centers over the next ten years. Though commercial construction was profitable, it was lacking the personal element that residential construction promised. In 2005, Currahee Home Builders was established. They developed, constructed and continue to build today in numerous communities in northeast Atlanta. While the majority of their clients’ needs centered on primary residences in the Metro Atlanta area, Mike and his wife Laura had a love of the lakes and mountains of North Georgia. 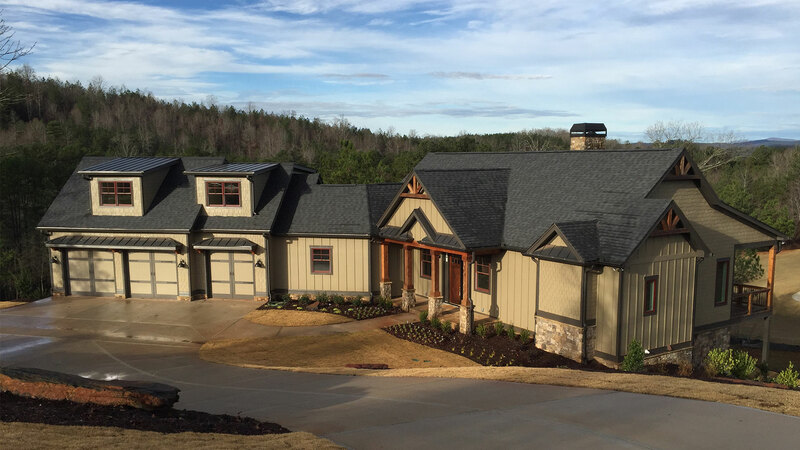 After building a second home on Lake Hartwell and joining the Currahee Club as founders, they decided to start working with local contractors and suppliers to create homes in the beauty of North Georgia. What sets Currahee Home Builders apart from their competition? The owner of the company is on-site, carefully managing the contractors to ensure that every detail is done well. From offering upgraded construction practices like the energy-efficient ZipWall System, using 2x6s for exterior wall construction, and engineered floor truss systems, the company won’t compromise on quality. Making sure your dream becomes your lifestyle is a top priority with Currahee Home Builders. Giving back is very important to Mike and Laura too. They support Atlanta-based www.itsthejourney.org to honor Laura’s battle and victory over breast cancer. Their oldest son Adam, a brain injury survivor, enjoys their partnership with www.randyandfriends.org, an organization in Gainesville that trains and supports people with disabilities. Currahee Home Builders has blended two decades of construction experience and customer service into a company that produces handcrafted homes “beyond expectations”. We value integrity and relationships -- and look forward to the opportunity to serve you.